Welcome to R.W. 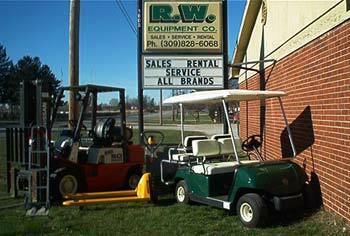 Equipment Co.
Offering both new & used forklifts, golf carts, and parts. Many makes and models available. Our forklift rental fleet ranges from 3000 - 9000lb capacity in sit down trucks. Walkie stackers, pallet jacks, order pickers are also available.